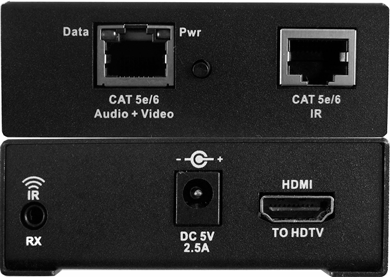 Octava HD Video over IP Extender. 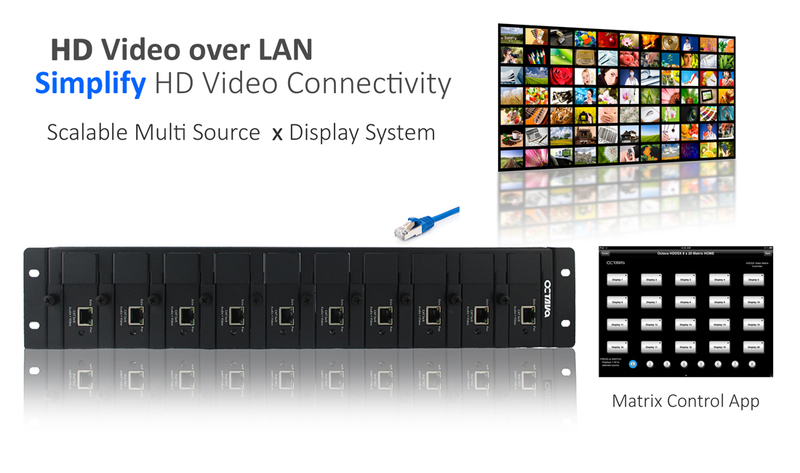 Distribute 1080P Video over Ethernet. 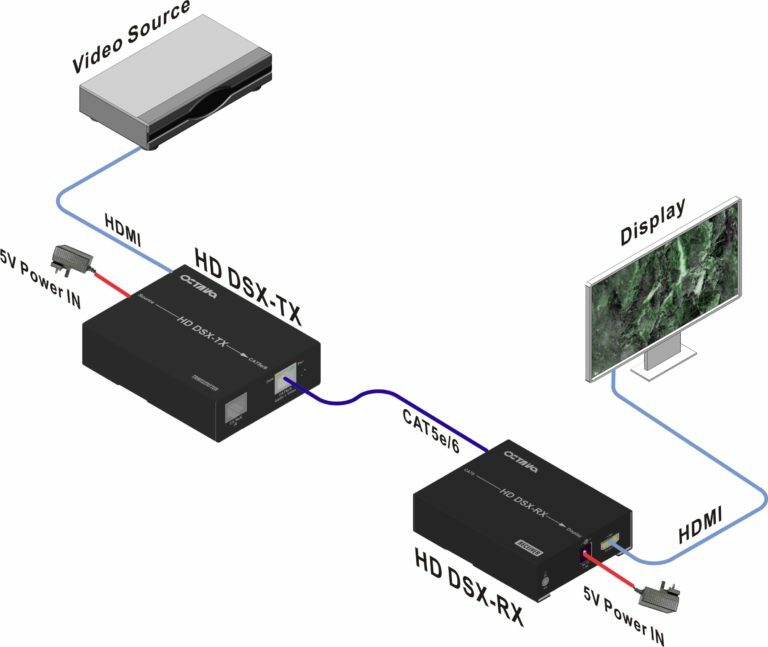 The Octava HDDSX-MX HDMI Video over LAN /IP is an easy to use, scalable HDMI video switching solution enabling the design of multi-source to multi-video display systems using standard Ethernet cables. 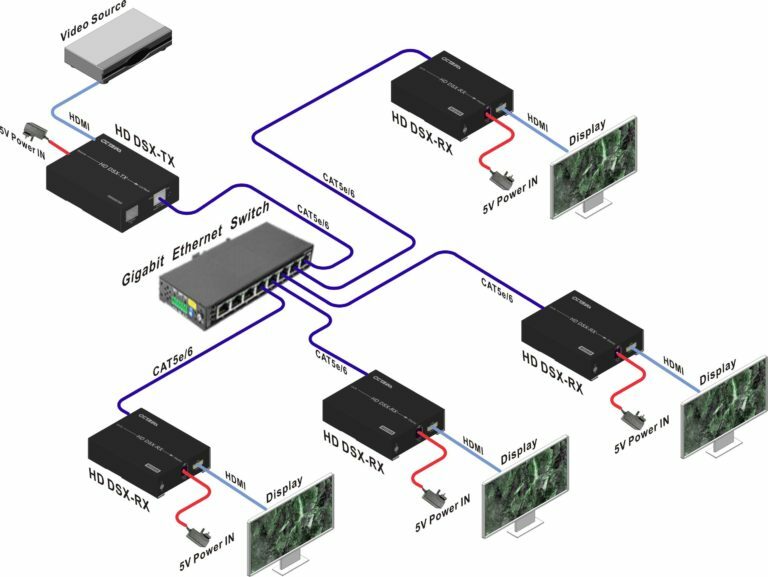 The HDDSX simplifies installation of HD Video system by using available CAT 5e/6 cable and a Gigabit Ethernet LAN switch. The HDDSX utilizes advanced MJPEG techniques and IP protocol to deliver 1080p video 300ft+ feet.. 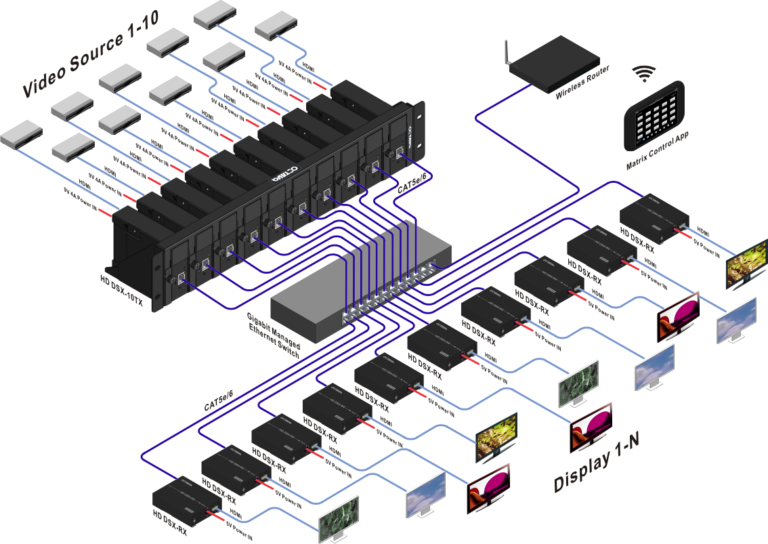 The HDDSX- MX system is based on a scalable architecture thus enables system designers the flexibility of adding video sources or displays to the system as needed with minimum effort. Ideal for digital signage, house of worship, education, hospital applications requiring multiple displays over longer distances using existing LAN infrastructure. 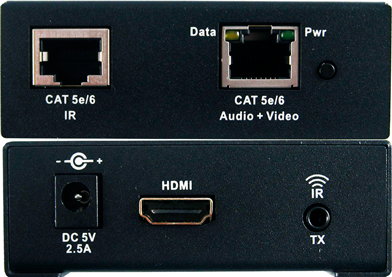 HDMI Over IP vs Traditional AV Switch Tutorial-learn more.